Member since August 20 2012. 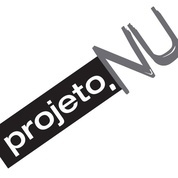 Projeto.nu is a non profit created in August 2011 to educate Brazilian and South American Teenagers. “Cidadania, Saúde e combate ao preconceito e puritanismo” is our mission, translated as “promotion of citizenship, health and fight prejudice”. We teach kids about how important it is to fight corruption in Brazil, and also educate about disease prevention and health promotion, in a new way. We also address issues of prejudice and puritanism, hoping to promote reason instead of superstition. The projeto is 100% free and over the internet, to reach as many teens as possible. Videos posted in the project must be short, very dynamic and evidence based. There are videos made by our team, but most importantly the community can contribute and record videos as well. Schools can use our platform as a tool, developing projects with their students and sharing with the rest of the country. Projeto.nu will educate teens, but also help to find solutions for some of Brazil's worst problems.